One trip, two exciting choices... Relax and explore or embark on the ultimate experience! Choose from two different day tours for best experience! 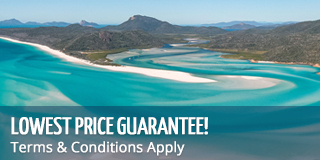 Visit Whitehaven Beach - one of the best beaches in Australia! This tour is no longer available. For similar options, please refer to Most Popular Day Tours or ask one of our friendly consultants. For those guests who do not have the ability to swim we offer the option of joining our the glass bottom boat tour at no extra cost. For those guests who have the ability to swim we can offer snorkelling. You may be excluded from snorkelling if you have any medical conditions or cannot swim. 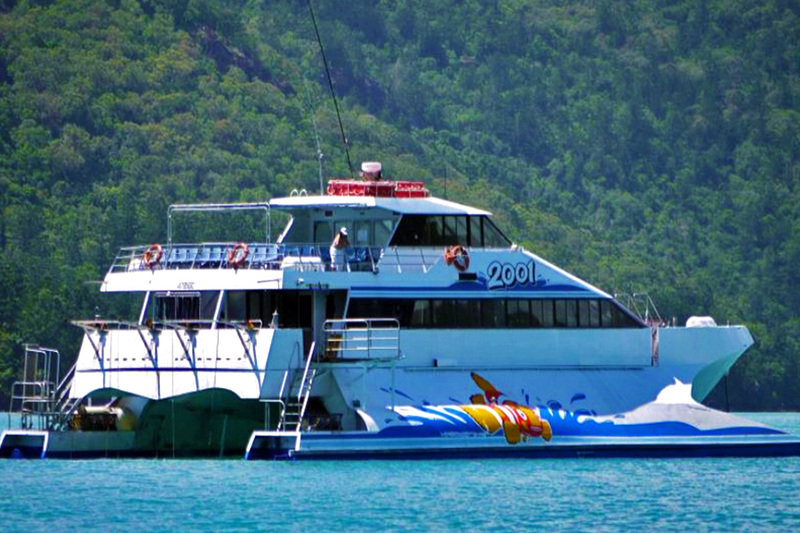 The Glass Bottom Boat tour is limited to 70 passengers per day. Please let us know if you would like to do the Glass Bottom Boat tour and we will pre-book your seats for you to ensure you do not miss out. All client cancellations forfeit 25% of total ticket price and all client cancellations made less than 21 days prior to departure will result in complete forfeiture of the full price of the tour. If the tour operator has to cancel the trip (prior to the departure) and we cannot offer a suitable alternative, then a refund will be given minus card fees. We strongly recommend that you have travel insurance, especially during the wet season. "Professional, well versed on the area, great helpful staff, great food, great boat, great weather, outstanding scenery and beaches. Will recommend and return." "We had the best day out to Whitehaven Beach. Gorgeous beach & the crew were fantastic,very friendly, helpful & couldn't do enough to help make our trip awesome. Food was plentiful & delicious. Good to talk to some of the crew about how they lived thru Cyclone Debbie. Highly recommend!"